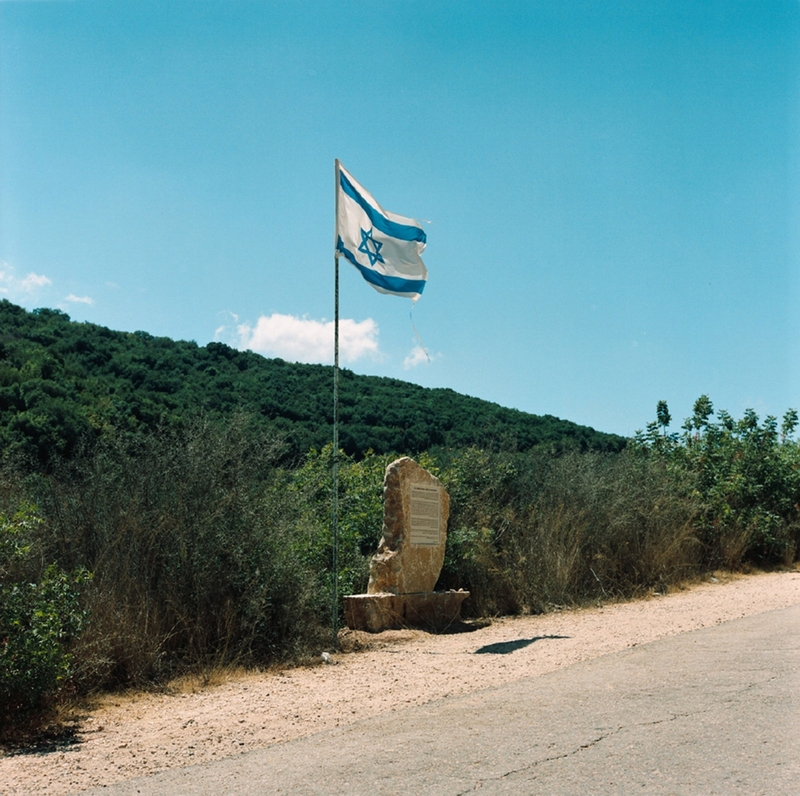 An ongoing project about the border between Lebanon and Israel. 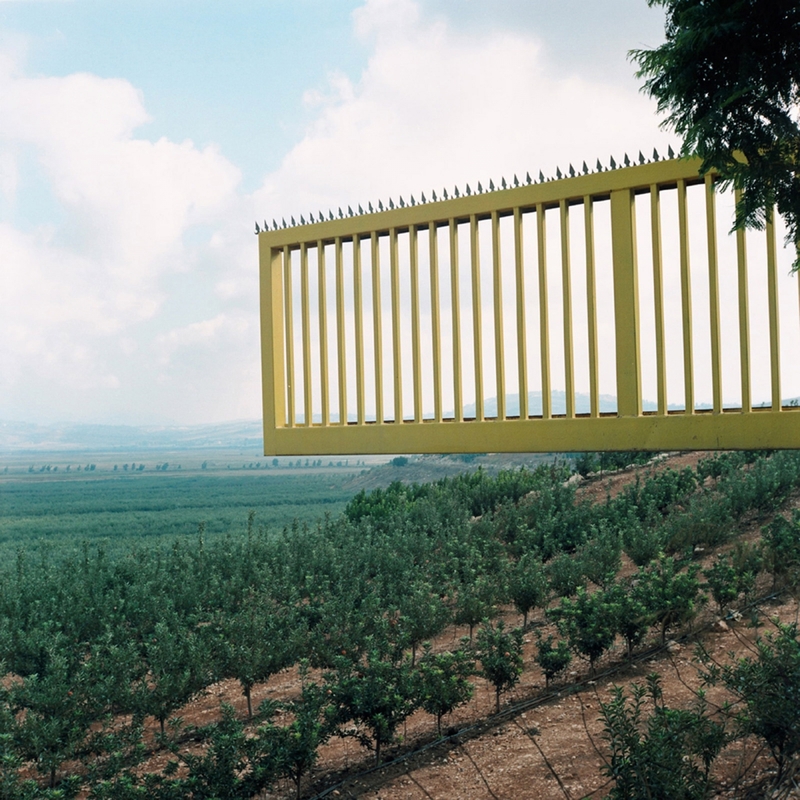 Working on both sides of the electrified fence that separates the two countries, Lombezzi explores the impact of the fence on people who live in the area – and also how the memory of decades of conflict “contributes to the formation and perpetration of opposed, conflicting identities.” The judges felt that Lombezzi’s medium format images of the landscapes and people along the border showed great skill and subtlety in exploring issues of identity and land. Arab al-Aramshe, Israel. 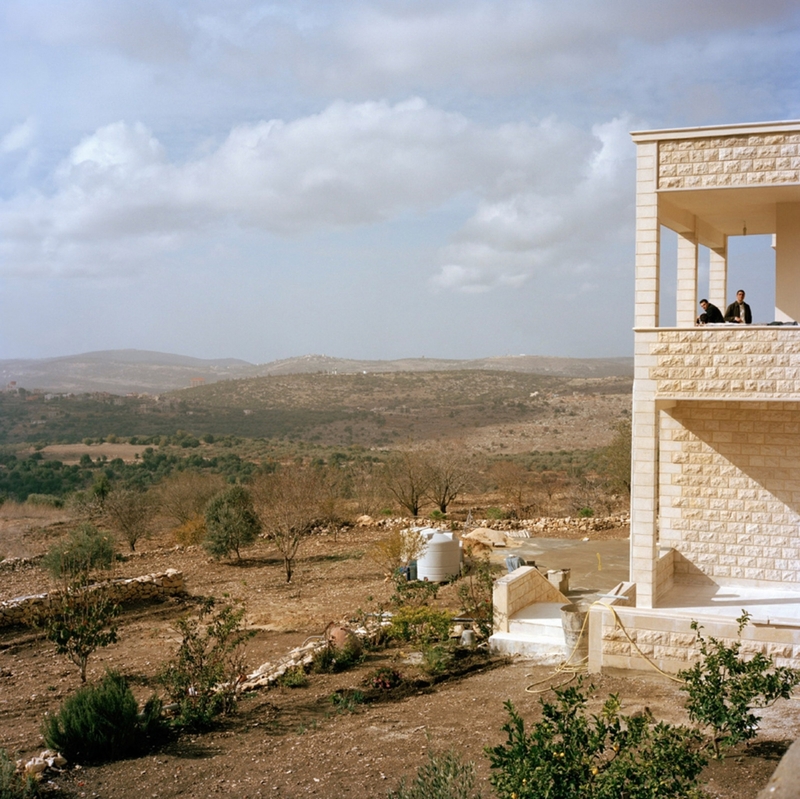 Three residents of the village, inhabited by Arabs of Bedouin origin, look the lebanese territory from a hill where the ruins of the old village stand. Over the years, Aramshe residents have experienced attacks by Katyusha rockets launched from Southern Lebanon by the Hezbollah. 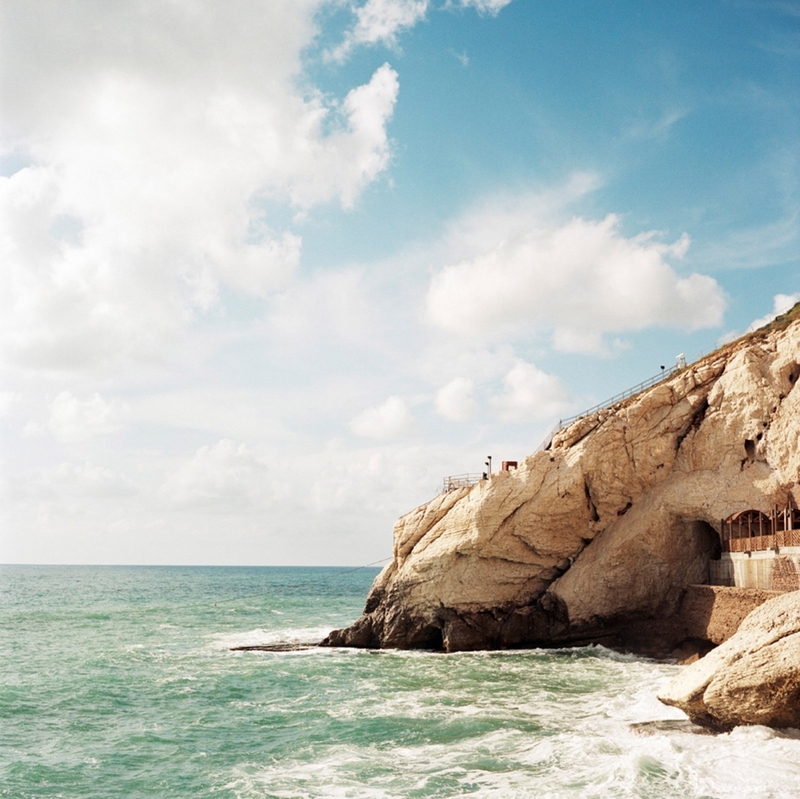 The natural caves are the extreme point of Israeli territory on the Mediterranean sea before Lebanon. 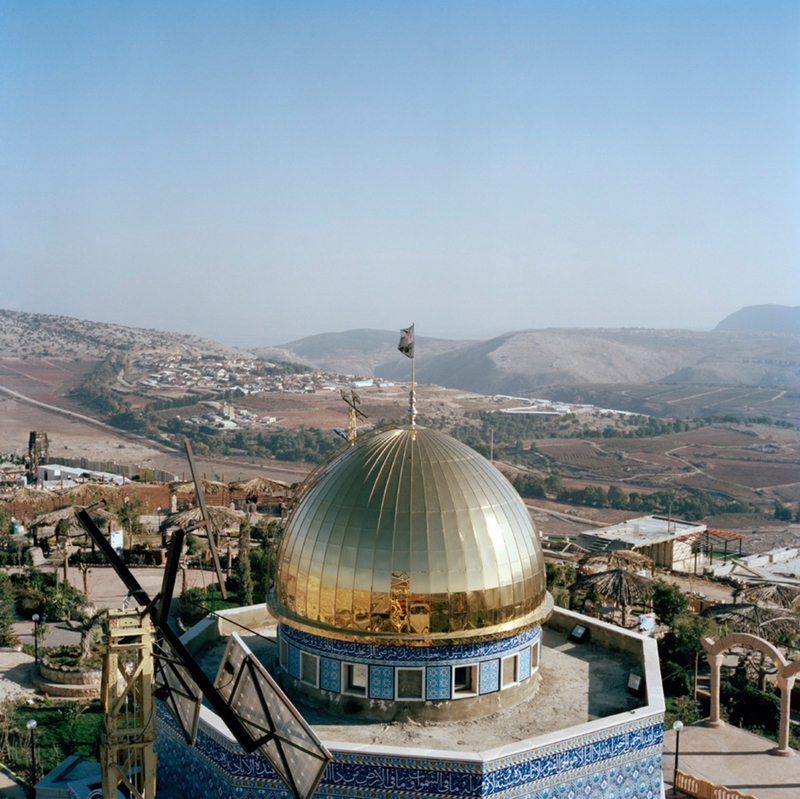 Maroun Al Ras, Lebanon A scale reproduction of the Dome of the Rock in Jerusalem, one of the most sacred places of Islam and one of the symbols of the city, standing in the center of the amusement park “Iran Garden”. 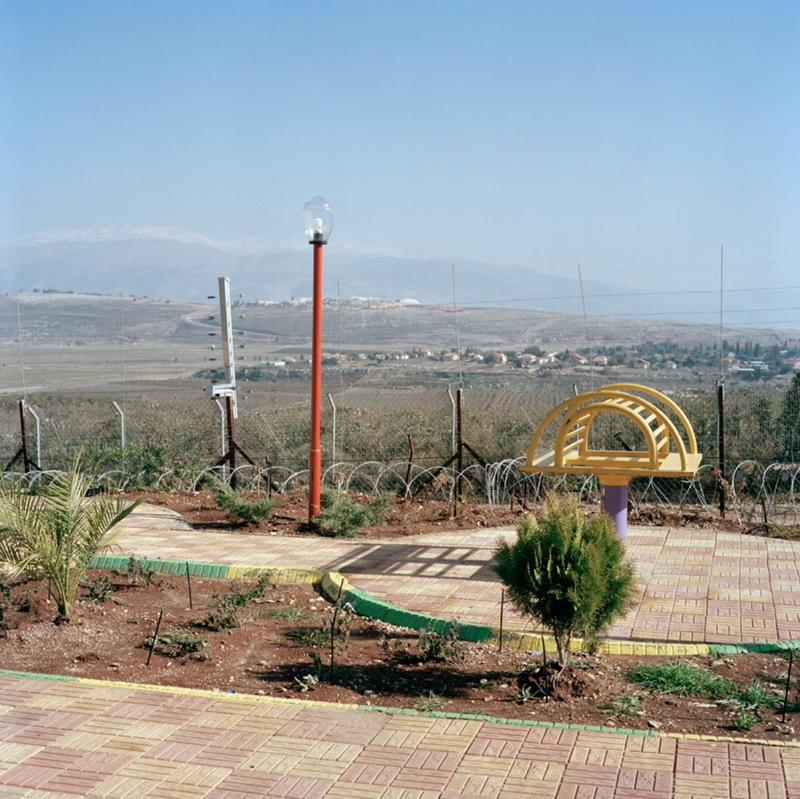 The park sits on a hill a few meters from the israeli border and was built in the occasion of the visit of Iranian president Mahmoud Ahmadinejad in southern Lebanon in October 2010. Former prison of Al Khiam, Lebanon. 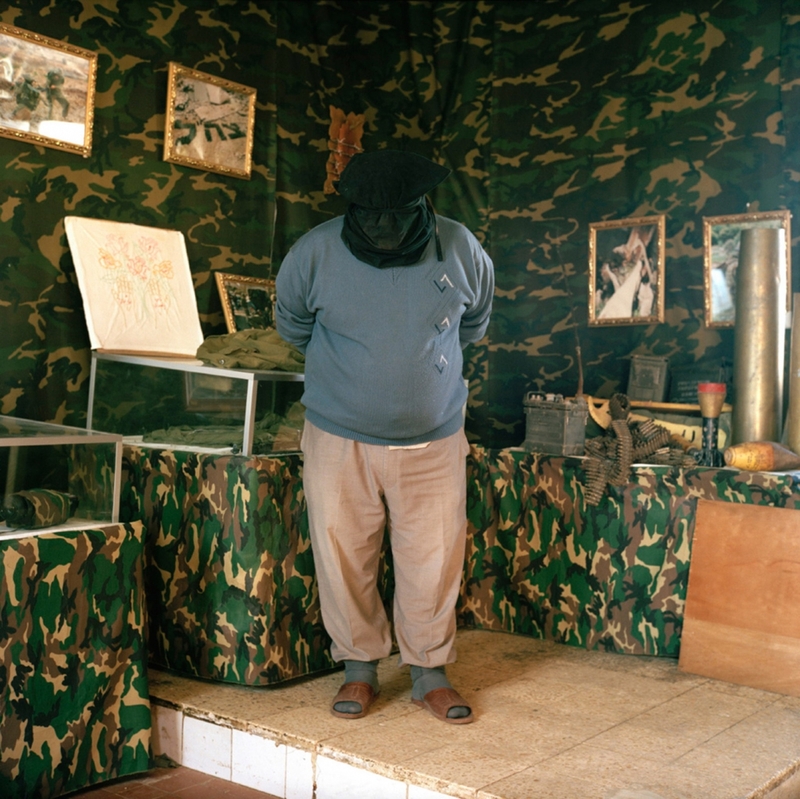 Ahmad Al Amine, 51, poses dressing the blackhood used by the israeli for the prisoners in the small museum of the prison. 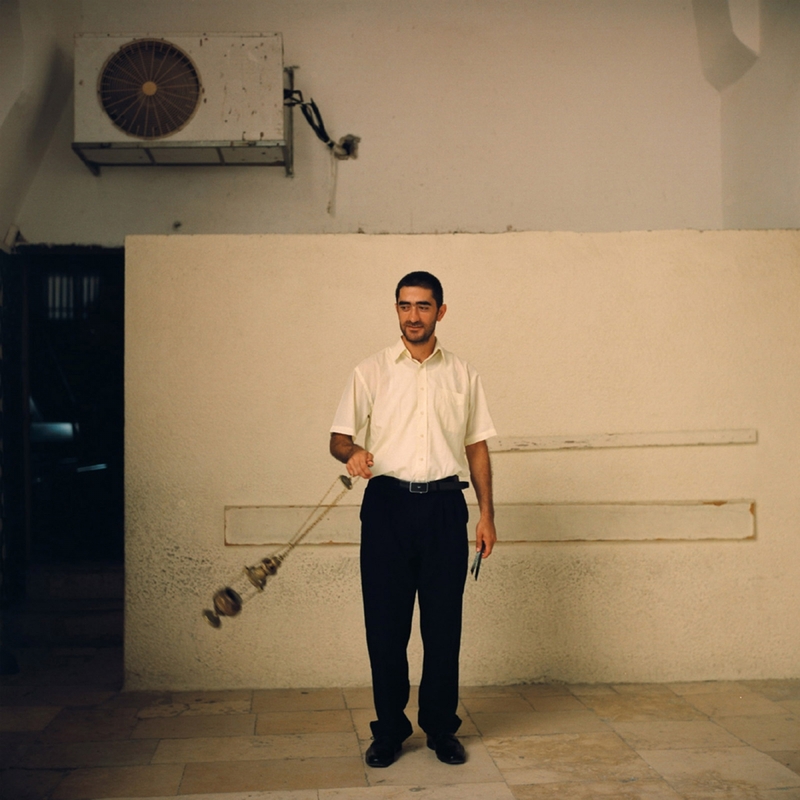 During the israeli occupation of southern Lebanon he was jailed here for four years. Amnesty International and Human Rights Watch reported the use of torture and other serious human rights abuses in the facility. The prison was transformed by Hezbollah in a museum after Israel withdrew from Lebanon in 2000. In the 2006 war was heavily bombed by the Israeli air forces, but today in the middle of the ruins a small exhibition is still kept open for occasional visitors. Qana, Lebanon. 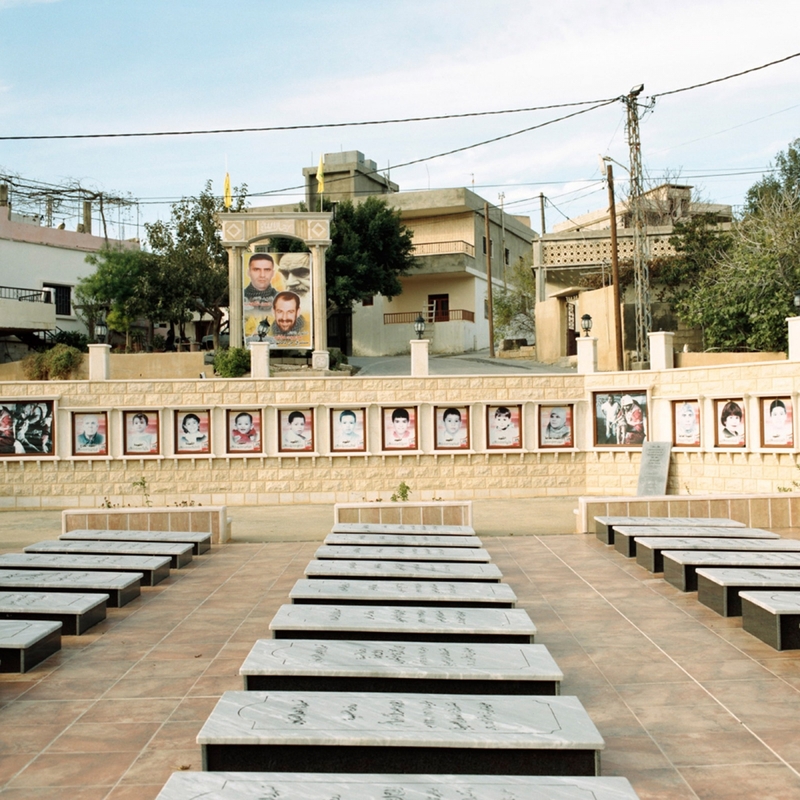 Memorial site for the victims of the airstrike of July 30, 2006, during the second Lebanon war. The airstrike was carried out using two bombs, at least one of which was precision guided, which were dropped in the hour following 1 a.m. The aerial attack killed members of the Shalhoub and Hashem families who had used an underground garage below a three-story apartment building as a shelter during the bombing. According to Lebanese Red Cross and Tyre hospital records, twentyeight people were recorded killed in the attack on Qana. At least eight people in the homes survived the attack, some of whom were wounded. It is unclear whether the building was also used by Hezbollah as a weapons storage facility. Gahjar, Golan Heights/Lebanon The village, inhabited by a majority of Alawites who consider themselves syrians, is the last piece of lebanese territory occupied by Israel. 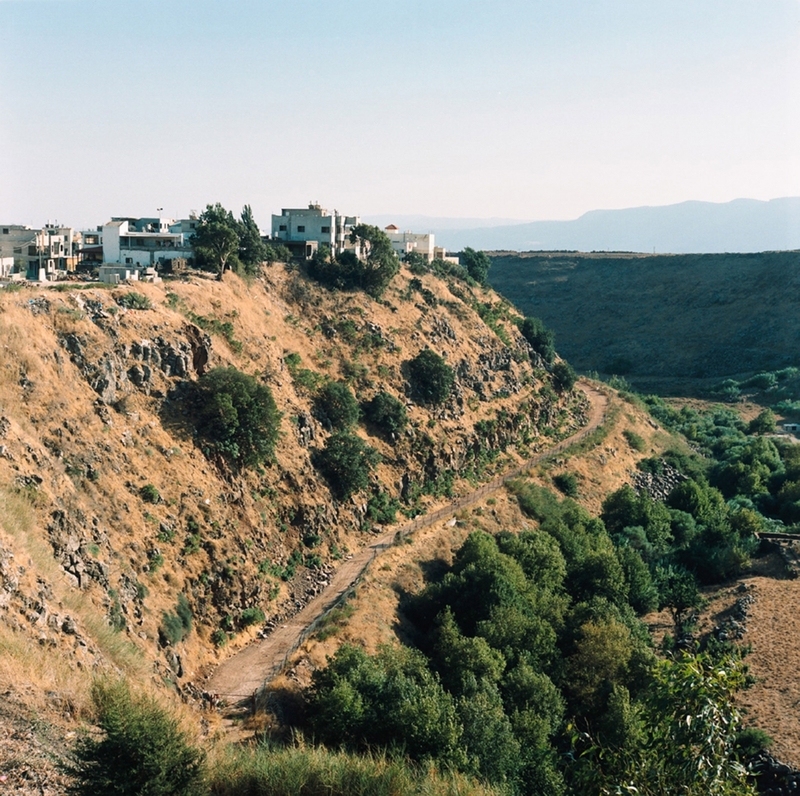 It is at the center of a unresolved territorial dispute, the northern half being part of Lebanon and the southern one being part of the Golan Heights, which Israel occupied from Syria in the ’70. 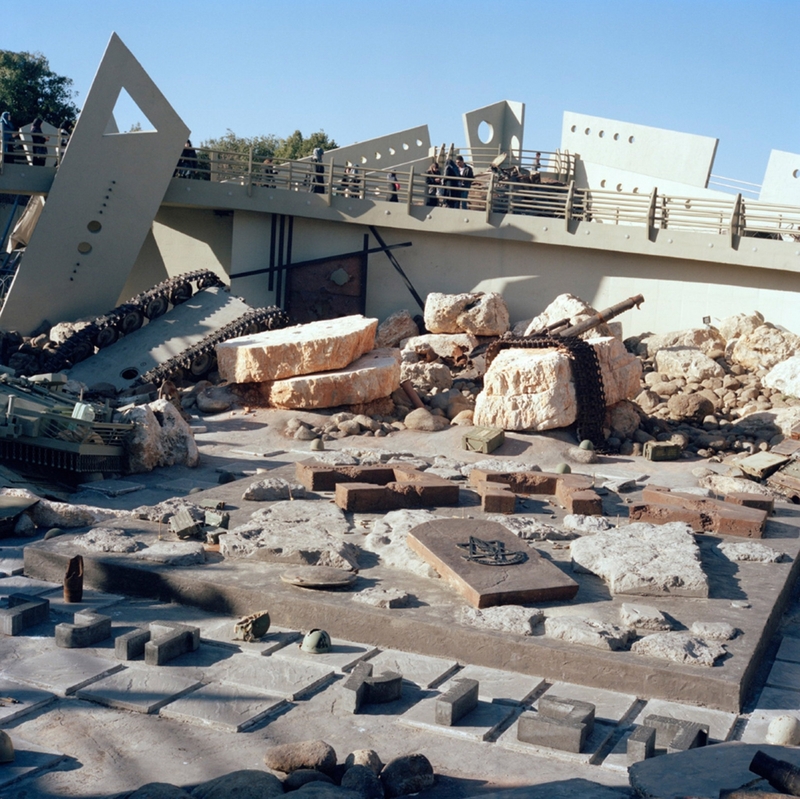 The United Nations determined that the international border with Lebanon runs right through Ghajar’s central square. Because of Ghajar’s location, the Israelis have surrounded the village with fences and declared the area a closed military zone. Negotiations to define the terms of israeli withdrawal are still lingering. 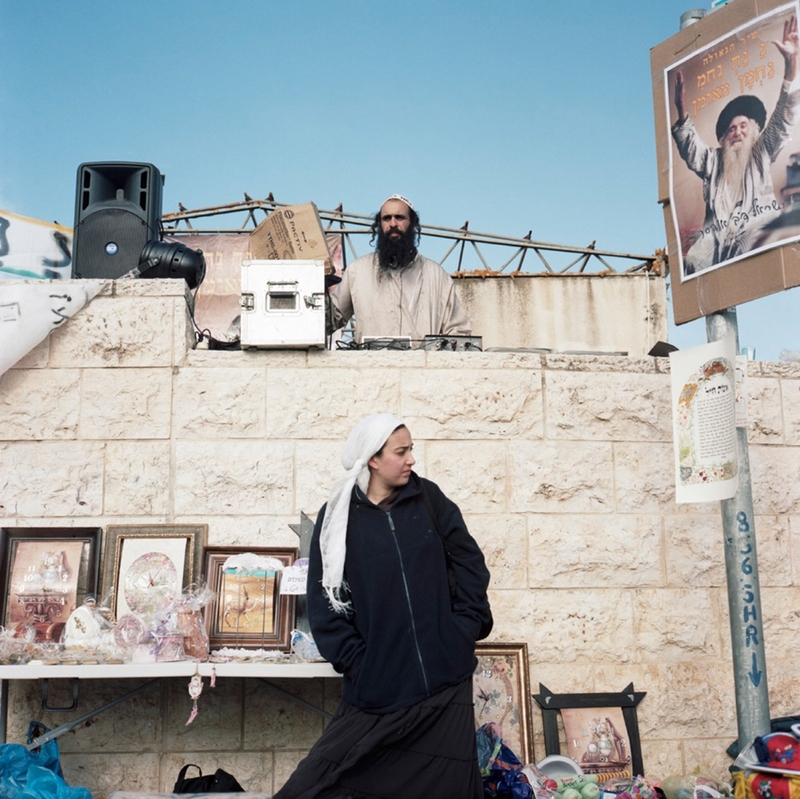 Meron, Israel An Orthodox couple plays music and sells religious items during Lag Bahomer religious festival. Qana, Lebanon Puppets of children and coffins in the memorial room for the first Qana massacre of April 18, 1996. The incident took place amid heavy fighting between the Israeli Defense Forces and Hezbollah during “Operation Grapes of Wrath”. That day Israeli artillery shelled a United Nations compound. Of the 800 Lebanese civilians who had taken refuge in the compound to escape the fighting, 106 were killed and around 116 injured. A United Nations military investigation later determined it was unlikely that Israeli shelling of the U.N. compound was the result of technical or procedural errors. Metulla. 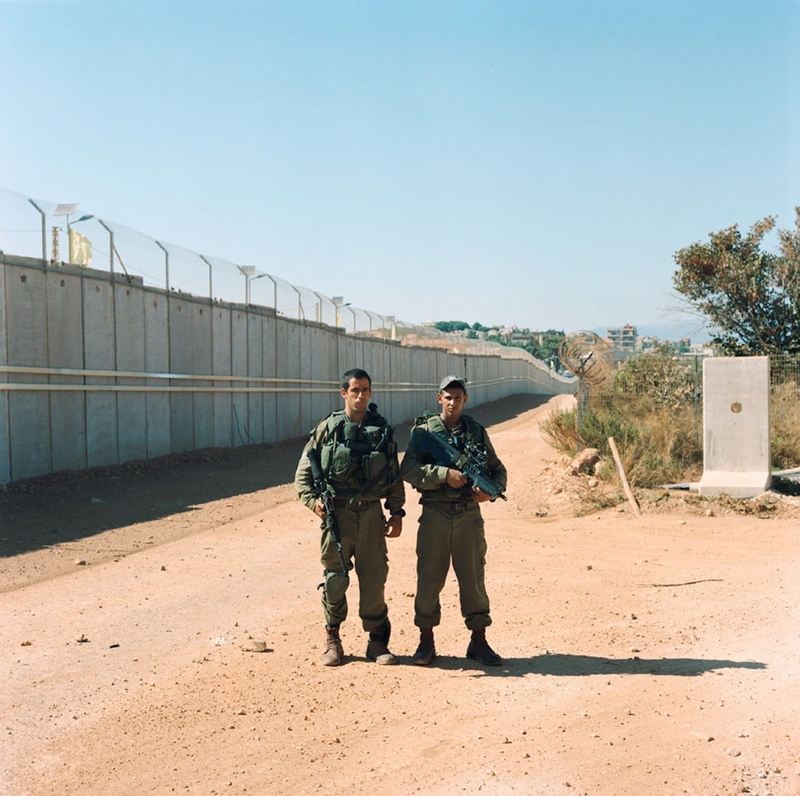 Israel Two israeli soldiers on patrol along a wall built along the border. The seven-meter high wall, the first of this kind along the border with Lebanon, was completed in june 2012 and it runs 1,200 meters long. 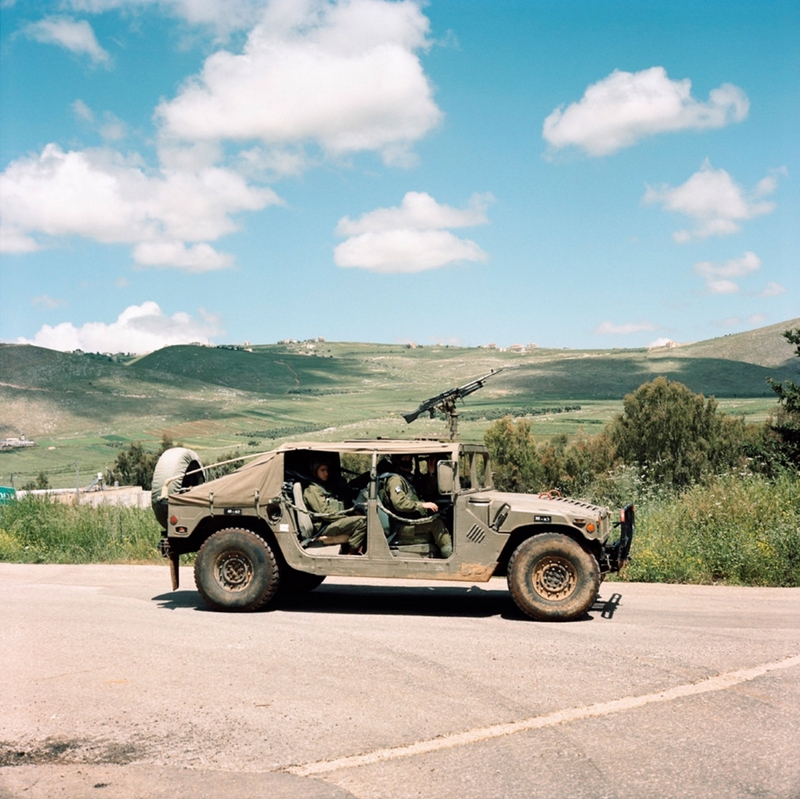 It is meant to protect residents of the town from sniper fire or rocket attacks coming from the lebanese village of Kfar Kila, just a few meters across the border. 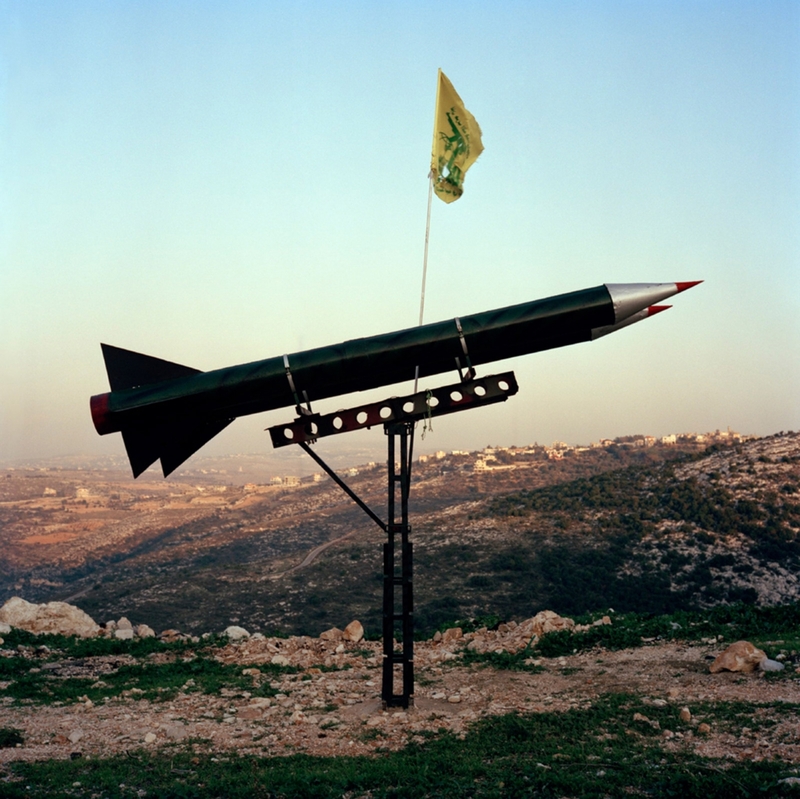 Tibnin, Lebanon A fake rocket pointing Israel with a Hezbollah flag atop, planted on a roadside near the village. Tel Dan, Israel The Dan River is the biggest of four tributaries that drain into the Jordan River. The Dan’s source is Mount Hermon. 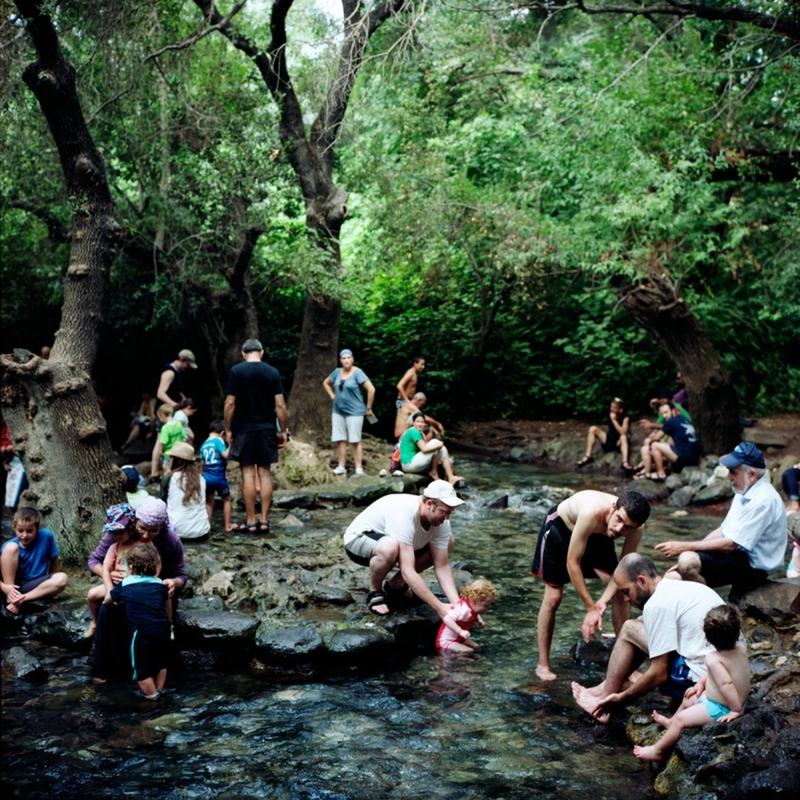 The area around the sources is a popular tourist spot for Israeli families. Metula, Israel. 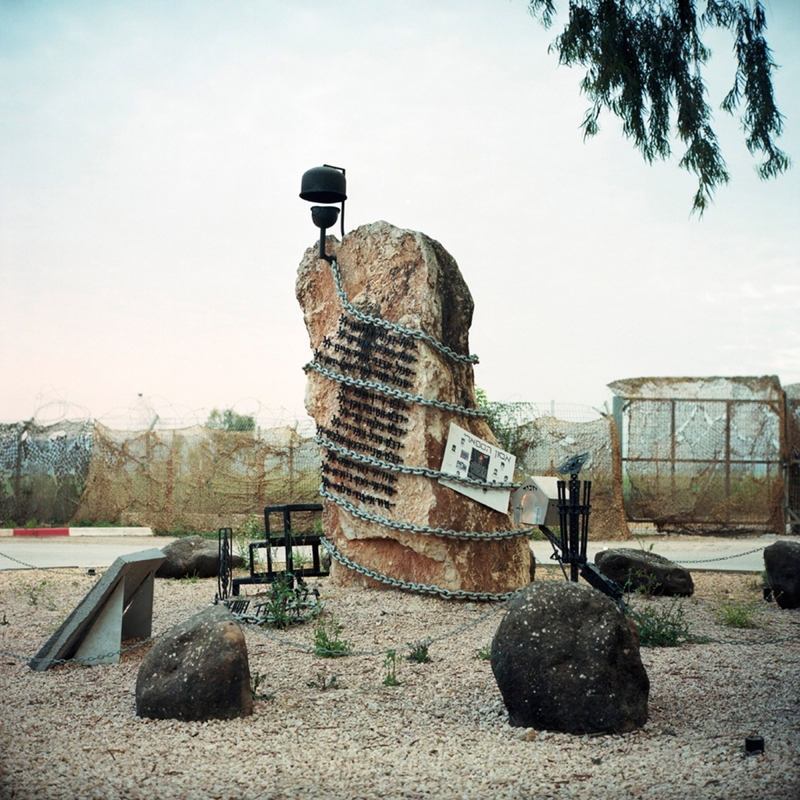 A monument to fallen israeli soldiers in a park just across the border fence. 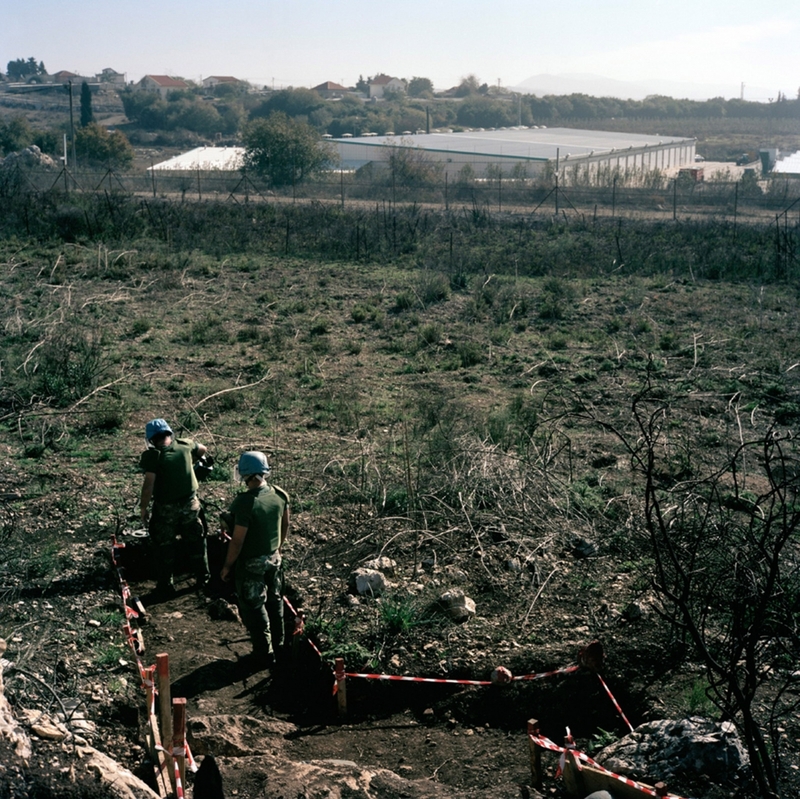 Area B25, Lebanon UNIFIL (United Nations Interim Force In Lebanon) italian sappers working in a minefield along the Blue Line to access the position where a blue pillar (UN border marking device) will be planted. Determining the exact position of blue pillars and planting them is one of the most time consuming tasks of UNIFIL mission, often involving mine clearance activities along the border area. Position 1-31, Lebanon. Blue Pillars planted by Unifl to physically mark the border on the ground. To determine the position of each pillar Unifil officials broker an agreement between the Lebanese army and the Israeli Defence Forces. Mleeta, Lebanon. 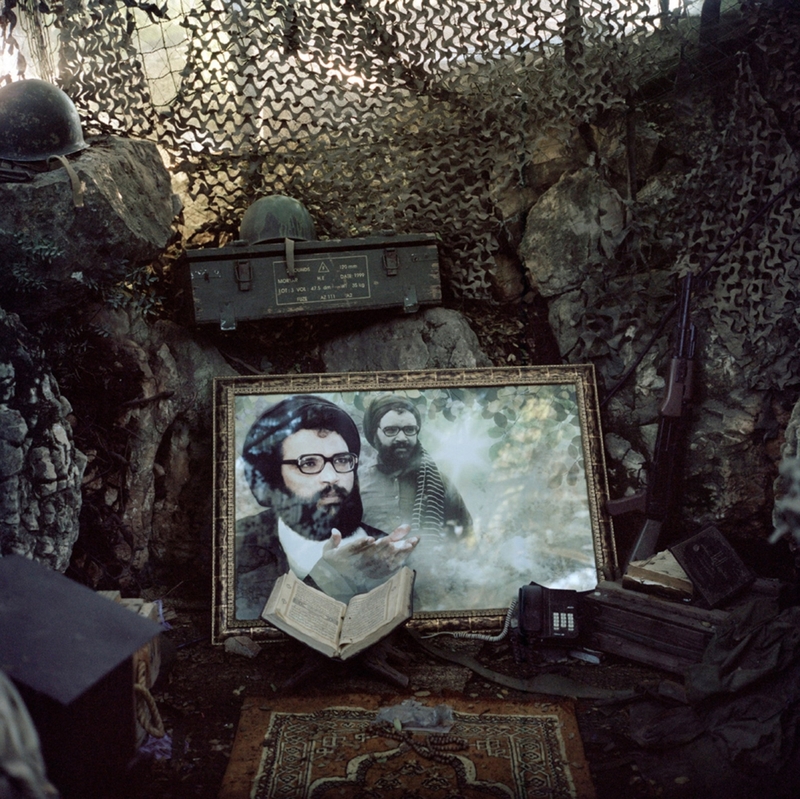 The combat position of Sayyed Abbas Moussawi, the first leader of Hezbollah, killed by the Israelian army in february 1992 in a helicopter raid along with his wife and children, is today a revered place in Mleeta open air museum. 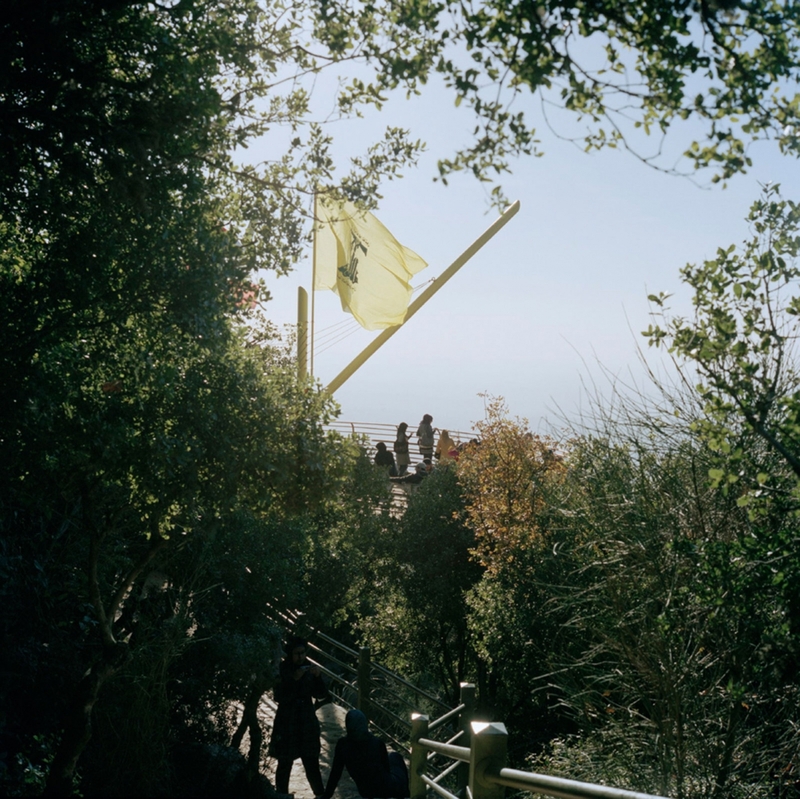 The site, completed in 2010, was named Mleeta after the mountain it is situated on, where Hezbollah fighters were stationed throughout the years of the Israeli occupation till the withdrawal in 2000. Mleeta was one of the first lines of defense and was a base for launching various operations inside the occupied security zone. Now has been transformed by Hezbollah in an open air museum and memorial dedicated to his fallen and to the fight against Israel. Nabatieh, Lebanon. 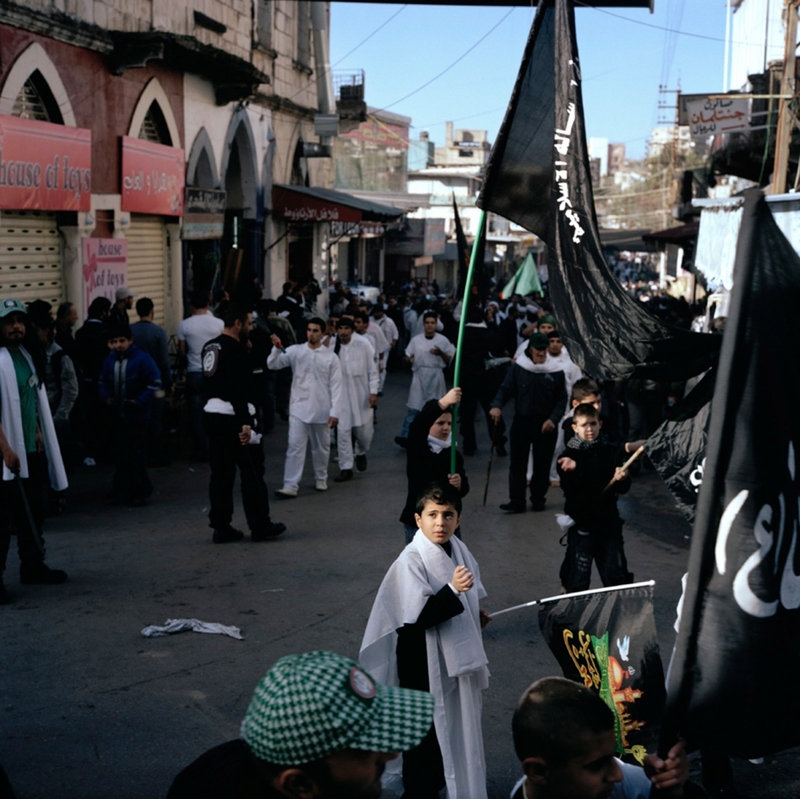 The procession of a group of Shi’ah belonging to Amal faction, celebrating Ashura in the center of the town. Ashura, the most important religious celebration for Shi’ah Muslims, is a day of mourning for the martyrdom of Husayn ibn Ali, the grandson of the Islamic Prophet Muhammad, who died at the Battle of Karbala (October 10, 680) located in present day Iraq. The dead are regarded as martyrs by Shi’ah Muslims, and the battle has a central place in Shi’ah history and tradition, and has frequently been recounted in Shi’ah Islamic literature. The battle is commemorated during an annual 10-day period culminating on its tenth day, Ashura. Zarit, Israel A memorial built on the road along the border where the abduction of two israeli soldiers by Hezbollah sparked the 2006 Lebanon War, the 12 July 2006. According to the United Nations the fighting began at around 9 AM when Hezbollah launched rockets on Israeli military positions along the Lebanese border, apparently as a diversion. A force then attacked two armored IDF Humvees patrolling the border near the Israeli village of Zar'it with anti-tank rockets, and captured two soldiers, Ehud Goldwasser and Eldad Regev. On July 16, 2008, the bodies of Goldwasser and Regev were returned to Israel in the 2008 Israel–Hezbollah prisoner exchange. An examination of the bodies determined that the two reservists were killed during the ambush. Meron, Israel. 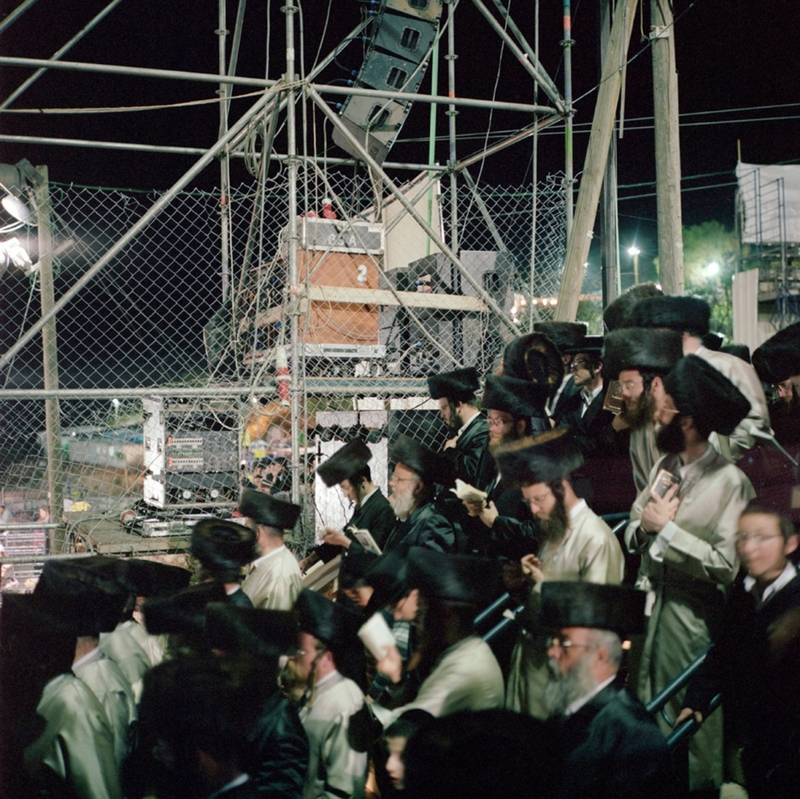 Orthodox jews praying near the tomb of famous rabbi Shimon Bar Yochai during the night of Lag Bahomer festival. This area is an important religious site for Jews as it hosts numerous tombs of revered rabbis, Shimon Bar Yochai being the most popular among them. The jewish festival of Lag Bahomer, celebrating here since ancient times, is held in this area every year and gathers thousands of people from all the country, especially orthodox jews, who camp in the surrounding hills and dance and pray all night long. Nabatieh, Lebanon. 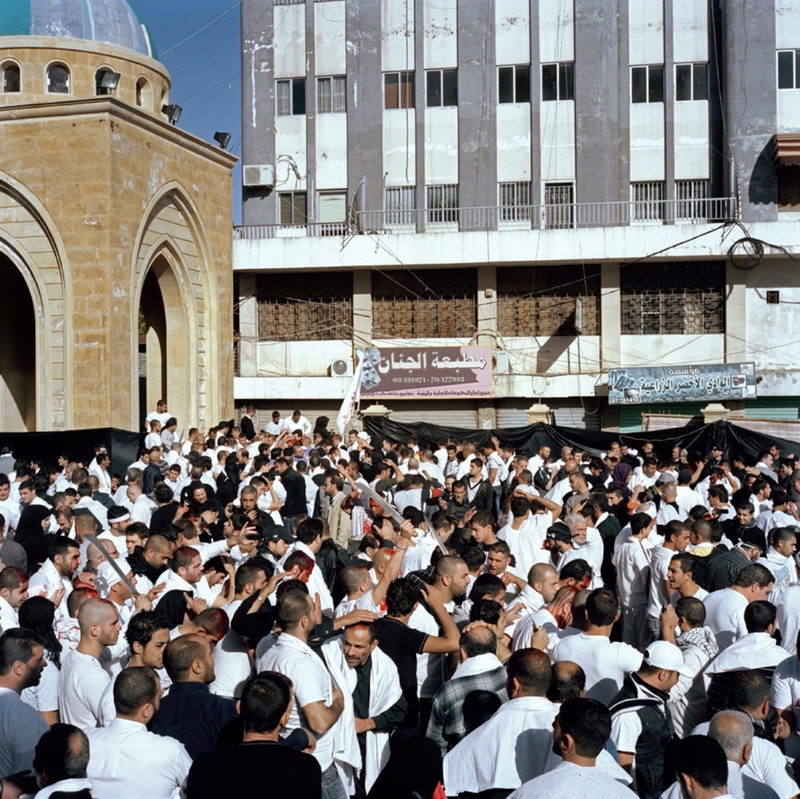 A crowd of male shi’ah in front of Hussein mosque. During the celebrations of Ashura, many young men cut their head and blood freely to show their endorsment of Hussein’s martyrhood and initiaite their children to the ritual. 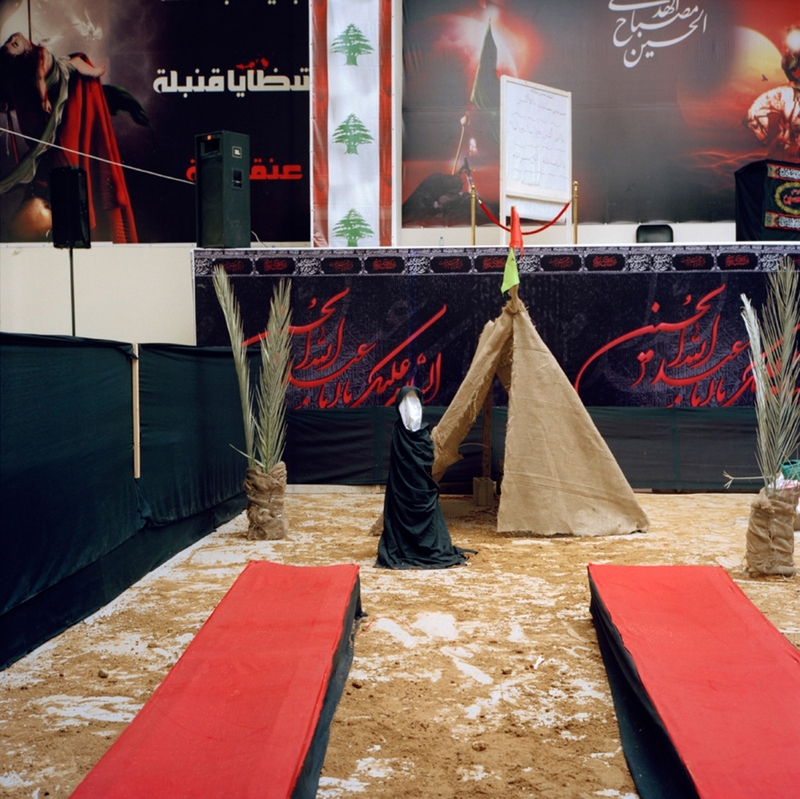 Even if most senior Shiite authorities oppose the shedding of blood during Ashura and encourage believers to instead donate their blood to people in need, the ritual is still very popular in southern Lebanon. Kfar Kila, Lebanon. An amusement park and promenade built with iranian funding after 2006 conflict runs alongside the israelian technical fence, facing the israelian village of Metulla. Moshav Avivim, Israel A military vehicle deploys in the border area where palestinians from Lebanon are demonstrating on the 63rd anniversary of Nakba. Meron, Israel. 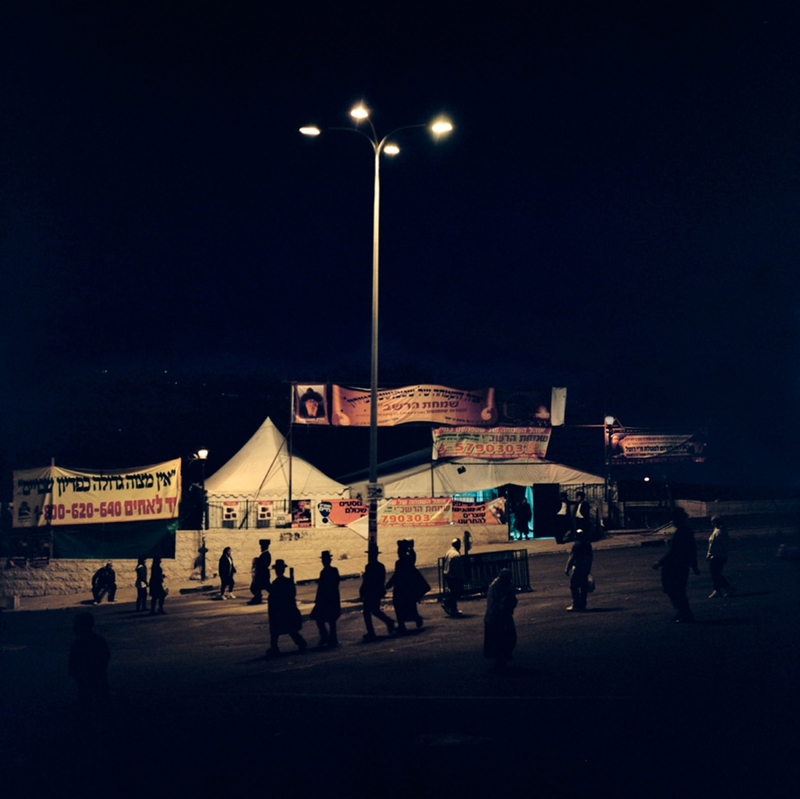 Tends and stands on the slopes of Meron in the night of Lag Bahomer festival. Akko, Israel A Lebanese maronite cleric prepares for the mass. After Israel withdrawal from southern Lebanon in 2000, several thousands of former South Lebanon Army militia members and their families, mostly Lebanese Maronites, fled from South Lebanon to the Galilee, to escape from Hezbollah revenge. They are still prevented from going back to Lebanon due to the political situation but most of them settled in cities near the border and still keep their lebanese identity alive. Metulla, Israel The gate giving access to the border area in the middle of apple orchards. 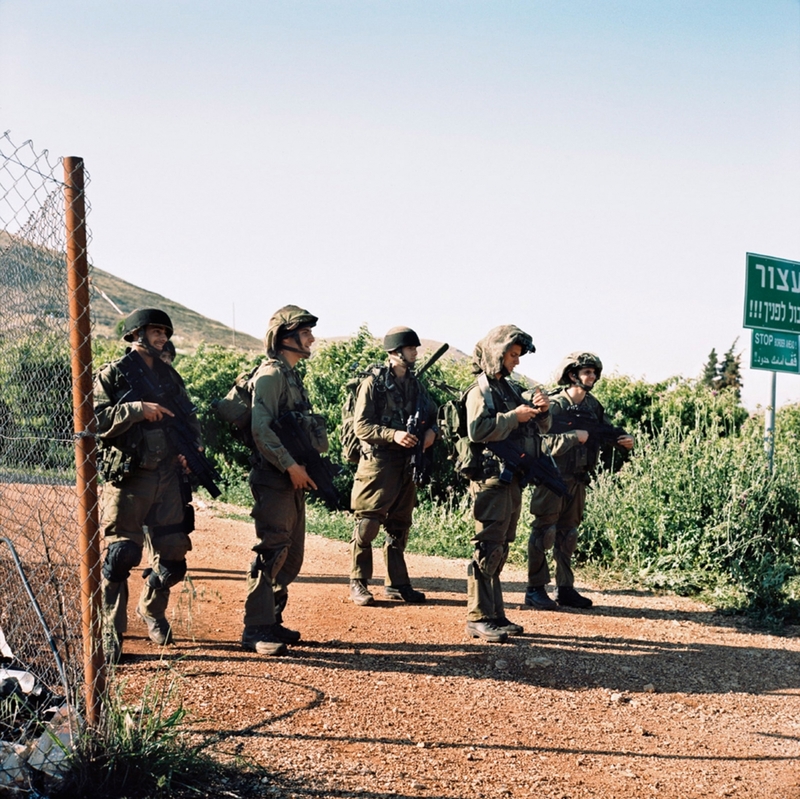 Moshav Avivim, Israel Israeli soldiers come out from hiding in the border area after the incident of may 15, 2011. Thousands of Palestinian refugees from various Palestinian refugee camps across Lebanon where demonstrating on the 63rd anniversary of Nakba. After walking up the mountain to the protest site, many decided to descend the opposite side, and continued on towards the border. Soldiers from both the Lebanese Army and IDF shot to prevent them crossing the border fence. The incident, which is still unclear, ended with reportedly 10 dead protesters and about 100 injured. Media reported that the protesters were shot by the IDF. The IDF said most of those killed were likely shot by the Lebanese Armed Forces (LAF) and that they had a video that established this, but would not release it on the grounds that it might cause embarrassment to the Lebanese Army. Ain Ebel, Lebanon. A house in the christian village overlooking the fields and the hills towards the border. Lebanese and Israeli look at each other through barbed wire, with no chance to communicate. Fear is the first feeling of people when they look at the other side. Fear of a new conflict, fear of the air strikes, fear of new victims and the destruction every war brings. The memory of 2006, when Lebanon was put to the sword and ravaged by Israeli Air Forces while barrages of rockets hit the Galilee, is still alive and burning. Blue Line is how United Nations called the frontier between these two countries, which spent most of the recent time in conflict. With this project I would like to put in relationship through photographs the two sides of the border. I would like to document its physical presence on the ground and the way it influences the life of people who live in the area. I am interested in how the memory of the conflict is built on the two sides and how it contributes to the formation and perpetration of opposed, conflicting identities. I will also work on relationships between individuals that go across the border: those of families, couples and generations divided by the fence. The Blue Line is a barrier that the majority of Lebanese and Israeli civilians, nor the Palestinians, will probably never surpass. Those who did, as a consequence of war and displacement, almost never had the possibility to come back, and were forced to settle on the other side. An utterly impassable electrified fence runs for 120 kilometers along the barren hills and divides them, making impossible to pass from one country to the other. 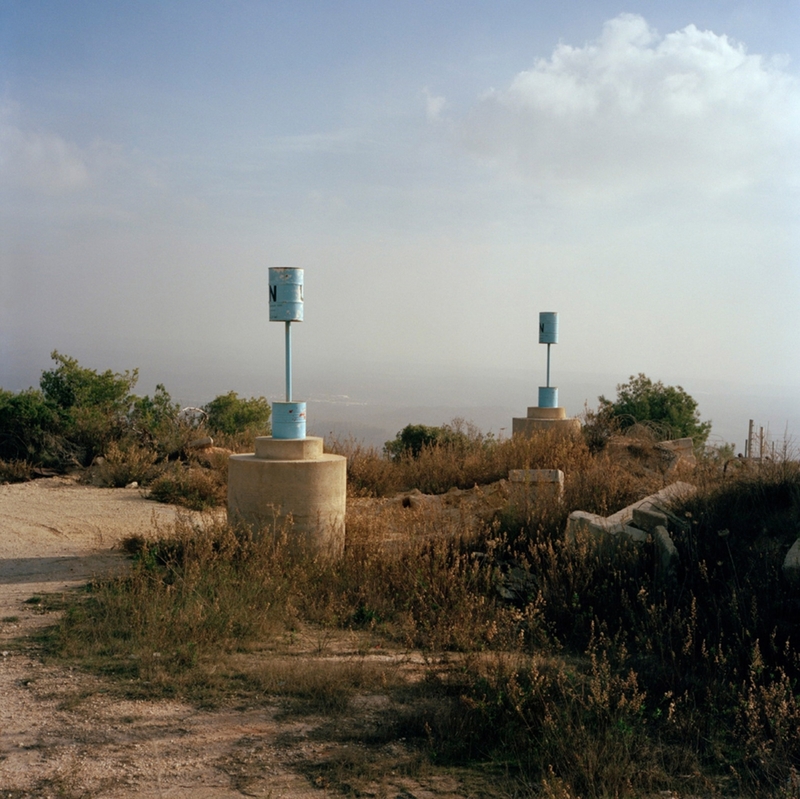 Scattered on the border are surreal-looking blue pillars, positioned by UNIFIL soldiers with the aim of physically marking the border to avoid violations which, even if accidental, could lead to a new escalation of violence. In order to decide on the exact position of each pillar, a complex negotiation between the Lebanese and Israeli armies is required, with the mediation of United Nations staff. Blue Line is still, in many points, an undetermined line. It also has an undetermined meaning: sometimes it seems it marks the fracture between two different worlds, sometimes an absurd barrier to modernization and dialogue. On both sides the land has been scarred by this decades-long conflict; fore and foremost, by the destruction it brought, but also by memorials and monuments to the martyrs, the victims, the perpetrators, the heroes. The people inhabiting the area have build their shared memory upon it, and upon this shared memory, on the Lebanese side, Hezbollah has built its consensus. Since the year 2000, when the Israeli occupation of South Lebanon came to an end, such consensus has increased and now influences the political discourse in the entire country. On the other side of the fence Israeli right wing politicians and military leaders, after the painful war of summer 2006, often call for a “second round” to destroy Hezbollah rocket arsenal, while the only concern of the country seems to be security matters leading to further isolation. The aim of the project is to narrate the two sides of the fence and to connect them, through photographs and written text of the two authors. I travel the area using the border as a road map, underlying the deep differences in culture, development and at the same time the proximity of everyday life. The concepts of land, memory and identity are the focus of my work. I would like to portray these two neighbors that don’t know each other and look at the other one through barbed wire, in these days of suspended truce that it’s still difficult to call peace. I hope the results of this research could become a book, that can contribute in the analysis of the conflict and dismantle the prejudice towards the “enemy”. Martino Lombezzi was born in Genova in 1977 and grew up in Milano. In 1996 he moved to Bologna, where he graduated in Contemporary History in 2003. While studying at university, he started working as studio and field assistant to several photographers. After graduation he was awarded a scholarship for a two-month field research in Bosnia Herzegovina, where he continued his studies on the International Tribunal for former Yugoslavia. 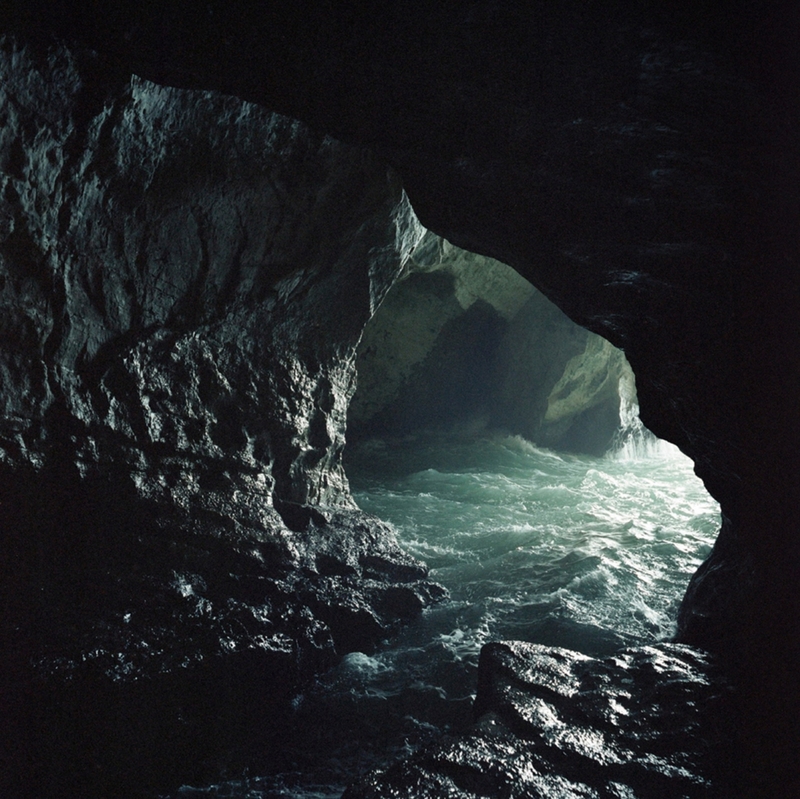 Back in Italy, he devoted himself to photography. His main interest is documentary photography. He is currently involved in a long-term project about the remains of World War II in Emilia Romagna. His pictures were published on many Italian magazines, such as Io Donna, D La Repubblica delle donne, Geo, Internazionale, L'Espresso, Ventiquattro, Corriere della Sera Magazine, Panorama, Vanity Fair, Max, Grazia. In 2010 his work about the survivors of the Bologna station massacre of august 2nd, 1980 was shown in the main hall of "Sala Borsa" (Bologna central library) during the thirty year celebration ceremony. He is represented by Contrasto since 2006.